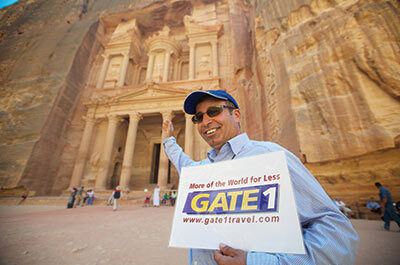 Jordan | Travel Jordan | Petra Travel | Gate 1 Travel - More of the World For Less! 8 Day Essential Jordan Book By Jun 13, 2019 & Save! This was my 13th trip with Gate 1 travel, however this trip turned out to be the most informative and exceptional of all. Our guide, Waleed has so much knowledge of history that he was able to share with us and was eager to answer all questions. He kept the group engaged and involved at all levels. The restaurant and hotel selections were very good and his suggestions for restaurants and meals on our own were also superb. He also gave a briefing about Discovery Tours by Gate 1 and has aroused my interest in future plan for the discovery tour for stargazing in Wadi Rum. All and all it was great tour and I would highly recommend it to everyone interested in unique experience of floating in the Dead Sea, exploring the amazing Petra and orange sand of Wadi Rum. I thoroughly enjoyed my trip to Jordan. It was well paced, informative and exciting. Our guide Hazim and bus driver Mohammed were the best. The food and hotels and bus were top notch and I can't wait for my next trip with Gate 1 in May. Our trip was absolutely wonderful! Jordan completely exceeded our expectations - we went for Petra and the Dead Sea but little did we know the profundity of history in Jordan. Our guide, Waleed, was so incredibly knowledgeable and passionate about his country. We learned so much, experienced so much, and just felt like it was a trip of a lifetime. Ate 1 always does a nice job. Organized and professional.feels like a dream now. Our trip was FABULOUS!!! The sites that we saw were amazing & our guide, Anas, could not have been any nicer or more informative- GREAT trip!! The trip went real well. The transfers worked well, the hotels were nice and the guide we had Omar was excellent. 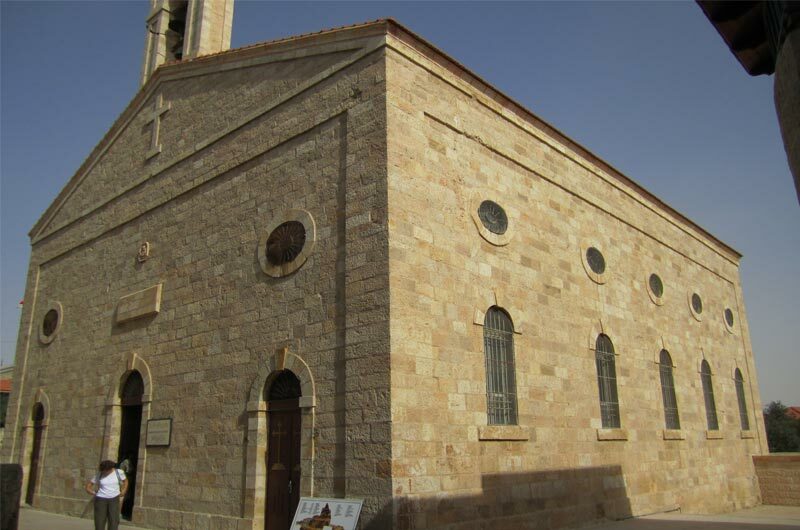 Jordan was a very interesting place to visit and we enjoyed the trip. Physically challenged yet quite an experience, so glad that I did the tour this year while physically fit. Ancient history, cultures & religious faiths are quite amazing. At last I overcome Petra! & Jerusalem was fantastic! Overall, I love it! Thank you again for your excellent service & care. Excellent. The sites in Jordan are great. Good hotels. The guide--Hazim--is the best. We're already thinking about our next Gate 1 trip. The entire trip was very insightful and enjoyable experience from the information provided by the tour guides to the counties visited. It was undeniably the best trip we have ever taken. This trip proved that one must visit a place to truly appreciate it's wonder. We look forward to our next trip with Gate 1 Travel. Thank you again. Hashim who guided us through Jordan and Adina thorough Israel were better than anyone could ever expect. Our trip was fantastic and more than we expected. Our guide, Hazim, made the whole difference, with his acknowledgement of the sites and his excellent sense of humor. Accommodations at the hotels were very convenient, as well as the food and services. Looking forward for our next trip with Gate 1. We had a wonderful time and two great guides. Loved the Marriotts in Jordan. We especially enjoyed Jordan; so much to see that we didn’t realize how much there was beyond Petra. Our guide, Hamiz, was our all-time favorite; he was so knowledgeable and demonstrated a real love and compassion for his country. All the Jordanians we met were so welcoming. We’ve never been thanked so many times for visiting a country. We had a wonderful time. Omar, our tour guide, was terrific! He has a great sense of humor and is very knowledgeable. We learned a lot about the history and way of life in Jordan. We had made our flight arrangements separately and one of the return flights was cancelled 2 days before the end of the tour. Omar was really supportive through the anxiety of rescheduling and even called after we returned home to make sure we made it ok. The tour was very well-planned and we felt safe wherever we went. This was our second Gate 1 tour and we look forward to the next one. Thanks so much for a great experience! My trip was so amazing. I was able to take some of the most amazing pictures while on my trip which is what I wanted to do. Hazim, our tour guide, was just so gracious and kind. He answered all our questions and clearly has such a love for his country and for its history. He is truly an asset to your company. We really enjoyed our trip in Jordan. It was very interesting, eye opening and enlightening. The itinerary was well planned and organized. The tour director, Hazim, was very professional, knowledgeable and entertaining. Also every step of the way after landing and at departing we had been taken care of. We are (relatively) seasoned travelers and were really impressed with Gate 1. We definitely have no hesitation in recommending Gate 1 to others and we look forward to join some other Gate 1 tours in the future. I would also like to take this opportunity to thank you for all your assistance and cooperation in the arrangement of this trip for us. Oh, boy - where to start? It was great! Parts were beyond great. 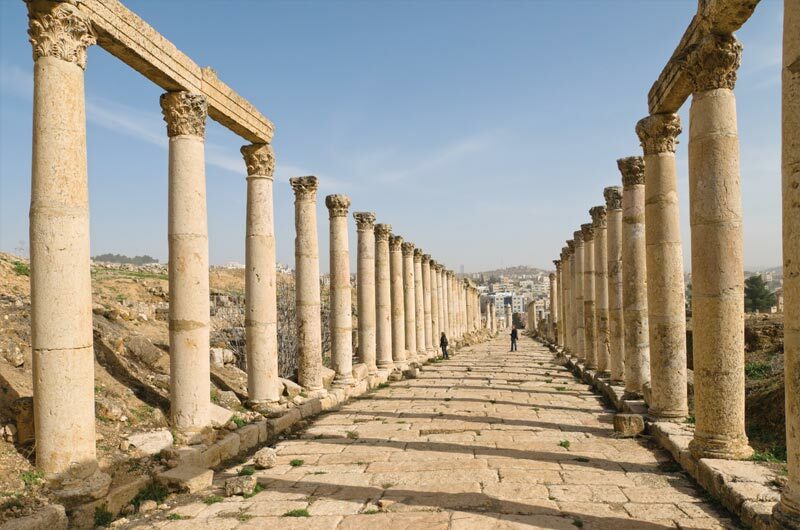 Although modern-day Jordan would not be on everybody's top-ten list, for a history buff and for someone who likes really remote places, this trip is fascinating. And yes I'm a history buff and yes I like really remote places. 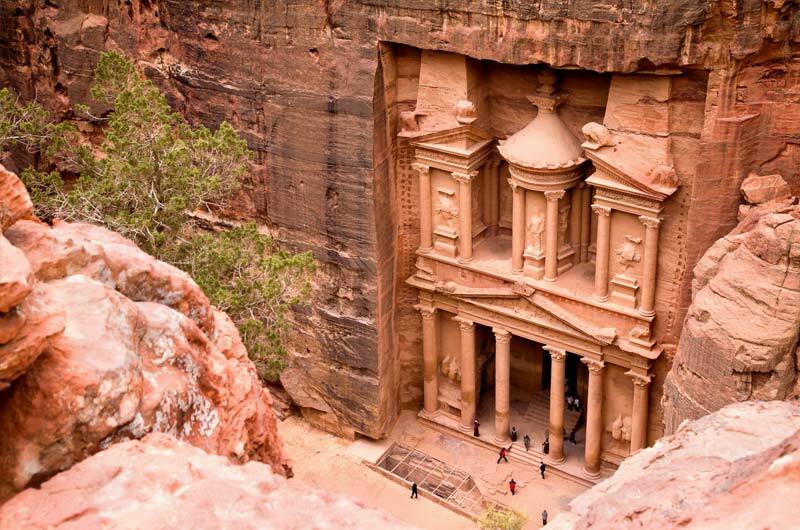 Ancient highways, ancient caravan routes, Crusader castles, Old Testament, Roman ruins, Lawrence of Arabia --- and Petra! Wow. As we've come to expect from Gate 1, this trip was reasonable priced and very well-organized. We were met at the airport on our arrival, and taken care of until the Gate 1 rep put us back onto the plane for home. The accommodations were great (you gonna complain about the Marriott?). The bus was clean, comfortable and spacious. Each day's tour was different and interesting, with no single day being too long or overwhelming. But finally, and most importantly, was your excellent choice of a local tour guide. Hazim was just about everything you want in a guide. He was friendly, articulate, funny, and accommodating. His depth of knowledge of the history, places, cultures, and current events was professorial. Plus, he's just a plain old nice guy. He interfaced with everyone, was informative yet diplomatic about the politics of the region, and handled individual questions and requests with ease. Gate 1's choice of local guides is a single most important reason we come back for more. Thanks, we have a wonderful trip. I enjoyed especially Petra. Good experience in Wadi Rum Desert where we get to ride the camel, fantastic view like you just can't get enough of it. Also, floating in the Dead Sea was so much fun. My trip was fantastic! I had no idea of what to expect and I must admit that I was nervous about going to Jordan. I am so glad I went, though. 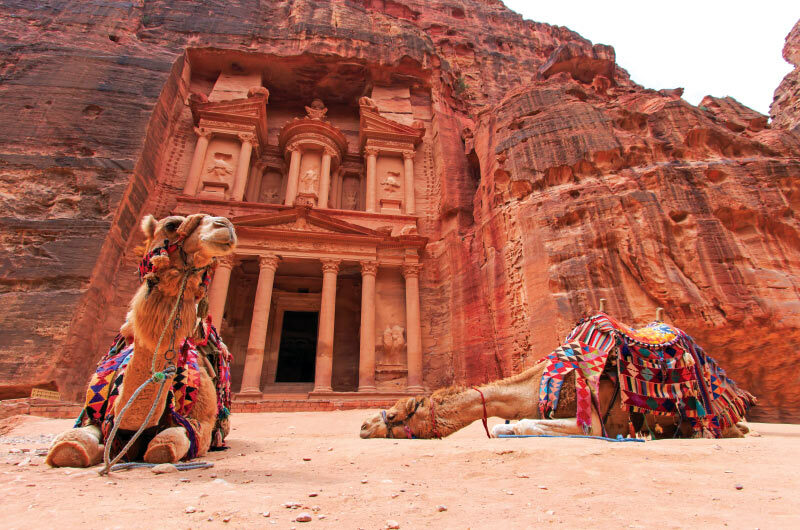 What an amazing and fascinating country Jordan is for so many reasons. Our guide was fantastic and the hotels were excellent. And there are no words to describe how incredible it is to wander around Petra and Wadi Rum. It was awesome! Our tour guide was both knowledgeable and extremely funny. The people in Jordan were friendly and welcoming. The sites, of course, are spectacular. 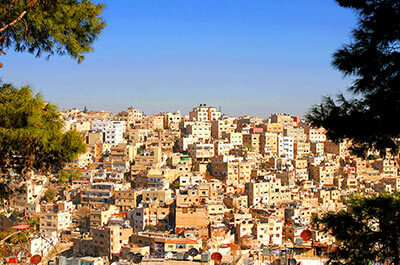 We are recommending Jordan as a destination to everyone who asks about our trip. We have been recommending Gate 1 for years. My Jordan trip was great. Great group for 42 of us and great guide. He is the first guide to daily go to the back of the bus to talk and answer any questions. Hamiz has his heart and soul into being the best tour guide. And our driver was great too. People came up to me in Jordan to thank me for visiting their country. The country was very safe. In Amman there was a police presence everywhere. I was able to walk alone anywhere safely even after dark. The kings Highway had police checkpoints. Drivers respected the laws and drove the same as here in the USA. I recommend this trip to anyone and do not listen to the fears here in this country. Our Jordan adventure was outstanding. It is a stable country that has good relations with its volatile neighbors. The trip itself was very rewarding. We had a great guide in Hazim. The hotels were excellent with bountiful breakfasts. The sights were all worth seeing whether they were Greek, Roman, Byzantine or Biblical. Of course the highlight was Petra. It is beyond description. So, yes, our Gate 1 trip was a memorable journey to a fascinating place that is well worth visiting. We had a GREAT trip. Our guide, Hazem, was perfect and very knowledgeable about the sites and history, and the accommodations were very nice. Everyone seemed to want to go out of their way to help us have an enjoyable experience. We have already told several people about our exceptional experiences with Gate 1. My trip was awesome. Hotels were fantastic. Our guide Hazim was energetic, knowledgeable, patient and caring. He had great sense of humor....all that a great guide should be. The trip was fantastic, I couldn't have been happier. 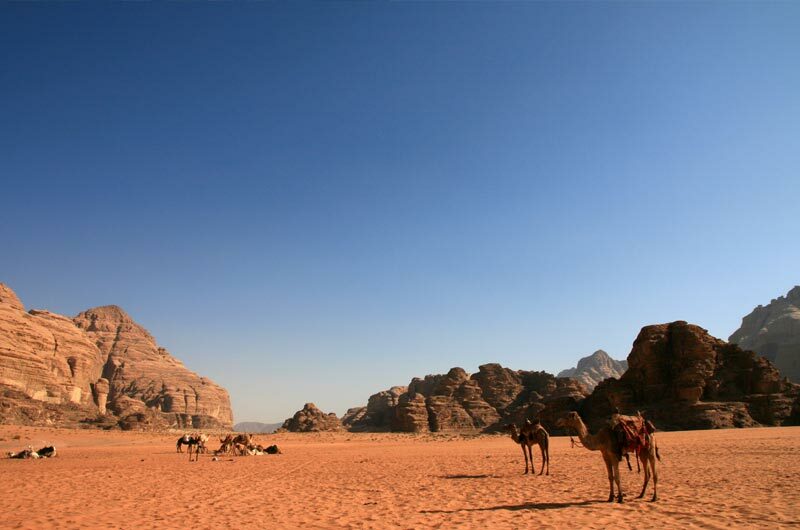 Jordan is such a great destination, it's unfortunate that more people don't go there. It was just great as usual with Gate1. Loved the guides for Israel/ Adina and Jordan/Hazim. They were both great and very informative, easy to get along with and kept everything in order so we just had nothing to worry about and just enjoyed every moment. Just great guides you have. I don't know where you find them but they are the BEST!! Especially loved seeing all the places we hear about all the time in the news and then to meet some of the people there it makes for a whole different view than what we hear on the news. It also just brought alive the Bible for us. Walking where Jesus walked and seeing the towns and ruins with all the expert information was over the top experience. Just LOVED it. Your company again did a GREAT job! Keep it up!!! P.S. The 4 Wheeling in Wadi Rum, Petra ALL DAY, and the camel ride/experiences and Bedouin and Dead Sea visits were a BIG PLUS. Soooo glad we had time put in for those fun times. My trip to Jordan far exceeded my expectations. 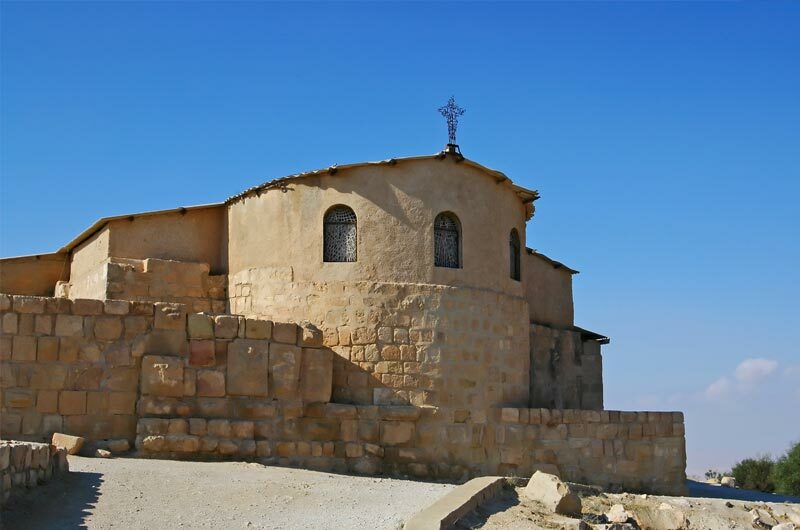 Jordan has so many exciting areas of which most of the world has never heard, from Roman ruins to Biblical sites. Our guide, Nizam, was very informative and had a wonderful sense of humor. The Marriott at the Dead Sea was drop dead gorgeous and ended our trip on the highest note! Jordan 9 day tour was outrageous! Hazem was a fabulous tour guide, full of knowledge about history, bible connections to the areas and a great sense of humor. The places we toured were so interesting and we always felt 100% safe in Jordan--everywhere we went! Petra, of course, was the highlight, but the Marriott hotels included in the plan were so wonderful as well. Everything about this tour was incredible!! !